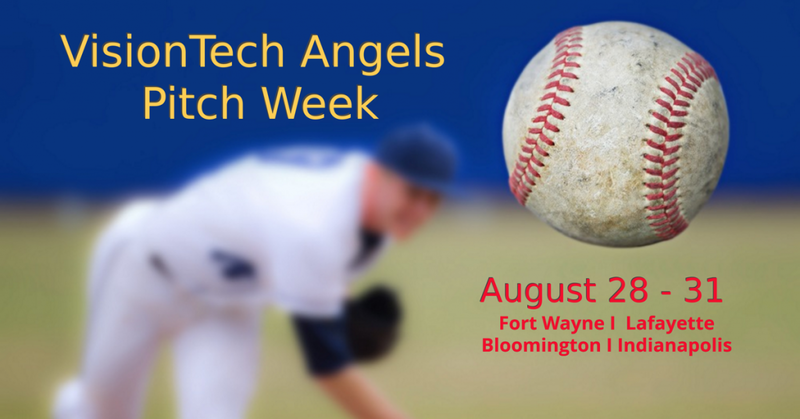 VisionTech Angels is winding up the summer with an outstanding line-up of pitch companies, including one biomedical, one medical device and a financial services app, for Pitch Week, August 28-31. It’s quite a diverse line-up. As per our custom, Monday we’ll be in Lafayette, Tuesday in Fort Wayne, Wednesday in Bloomington, and Thursday in Indianapolis. Get all of the details here. VisionTech Angels meetings are open to members and their guests. If you’re a member, please RSVP. GeniPhys is a Purdue University-based startup specializing in personalized tissue engineering, a multi-billion dollar industry. Geniphys is focused on commercializing the first standardized, tune-able collagen polymers (Collymers) and collagen-fibril materials for use in trauma, surgical, wound care, and cosmetic applications. Current products are costly, often cause inflammation and scarring, and non-customizable to the application. Genephys’ solution assists the rapid regeneration of natural tissue without causing inflammation. The company is producing prototype medical-grade Collymer products for medical and veterinary applications. The initial target for the company’s Collymer SA is the wound care industry; there are 1,000 U.S. wound care centers that treat 3.5 million non-healing wounds annually. GeniPhys’ go-to-market entry involves securing an FDA 510(k) for wound indication. Chicago-based EDGesurgical has developed single-use, precision measurement devices for the orthopedic industry. Its first device, the OrthoEDG® (electronic depth gauge) is the first digital depth gauge for the orthopedics market and will launch Q4 2017. EDGesurgical is now finalizing its second single-use, precision measurement device, the Spine EDG®, for identifying and placing properly sized screws used in spinal fusion surgeries. The Spine EDG replaces old technology, which is basically a ruler and neither accurate nor reliable. The spine surgery market is ripe for change; it is plagued with preventable and costly complications. Seventy percent of American live paycheck to paycheck; 47 percent can’t cover a $400+ emergency. Twelve million American take out payday loans each year, spending $9 billion on loan fees. For many, payday loans are the only option, but a history of predatory lending practices makes them an unpopular option. SoloFunds wants to give borrowers more control over payday loans and has created a mobile-based lending exchange to provide people with more affordable access to loans of $1,000 or less. With Solo Funds, borrowers create a secure account, which validates identity and authenticates their bank. Next, the borrower receives a Solo Score, which determines their borrowing potential. The borrower can request a loan at anytime, specifying the amount, reason for the loan, payback date, and preferred loan fee. (The lender can reject the fee amount.) Lenders compete for the loans, Solo Funds earns a five percent fee on each loan.